This week we started renovating Ed and Kate’s home in Stittsville, just west of Ottawa. This active family, with two young boys and young Bernese Mountain dog, are upgrading flooring in the home they bought a few years ago. We’re tiling the entrance, kitchen and dining room, removing columns in the living room, then installing pine flooring throughout the rest of the house. 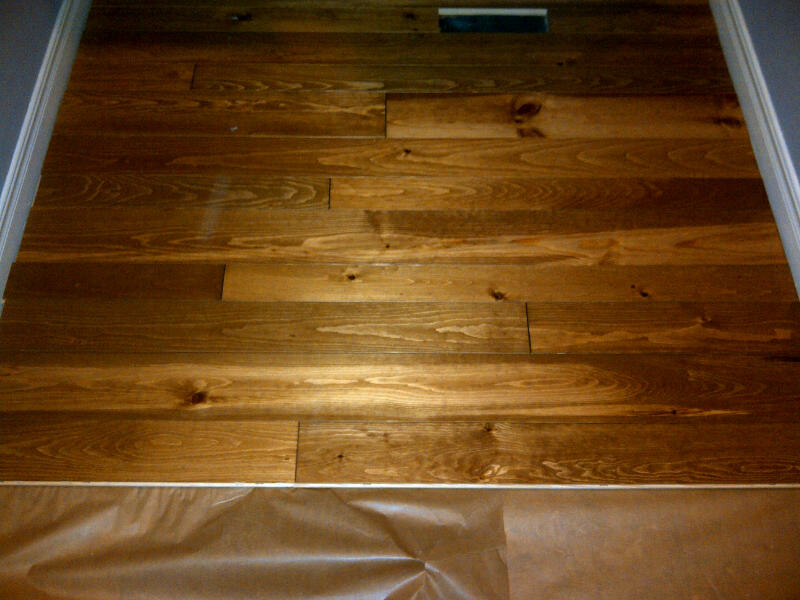 Ed and Kate ordered 3.5″, 4.5″ and 5.5″ pine flooring. It arrived yesterday. 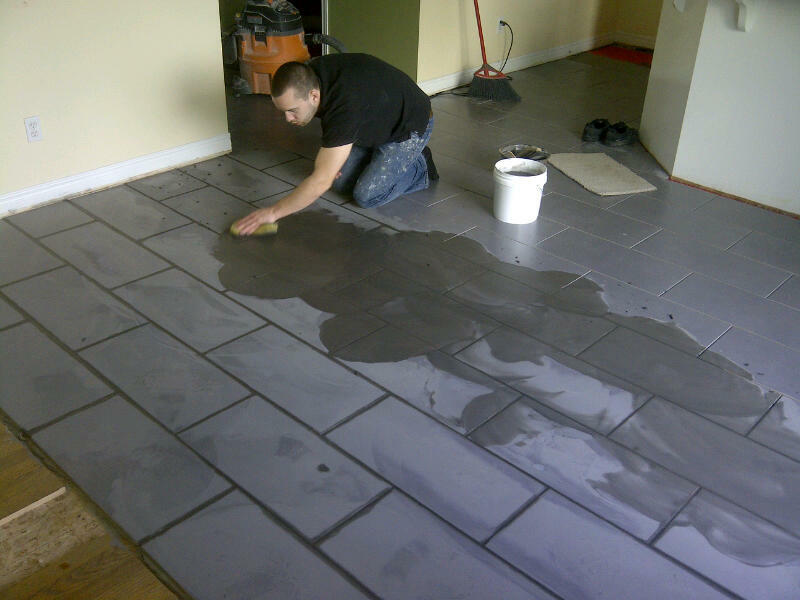 Day 5: Don using Charcoal Grey grout on Home Depot Pasha Collection Lobby Grey porcelain tile. 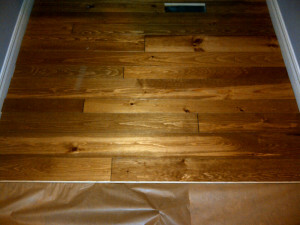 Day 6: reclaimed pine flooring going down. Check out the grain! Day 7: pine floors are down in the bedroom and closet, and part of the hallway. Day 8 at Ed and Kate’s. Tile is done in the front entrance, mud room, dining room and kitchen. 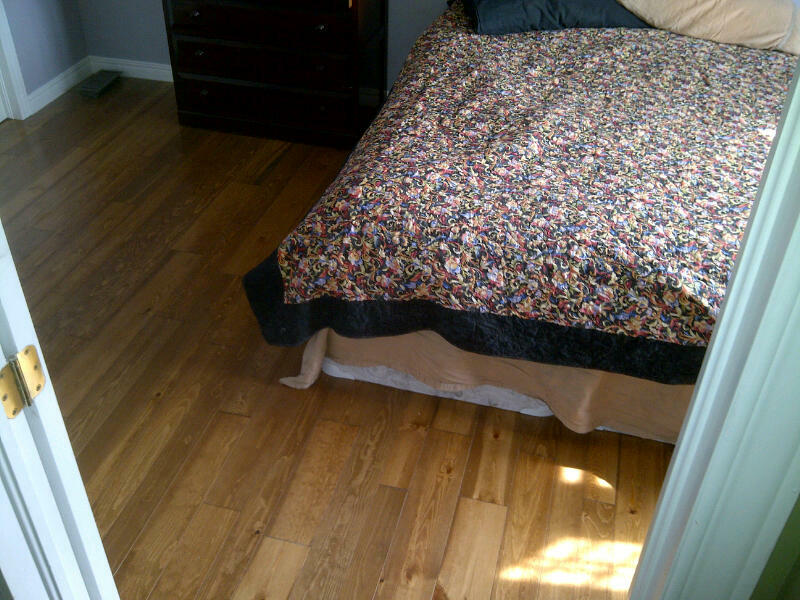 Reclaimed pine floors are down in the master bedroom and closet, and part of the hallway. I may walk hunched over for a loooong time. 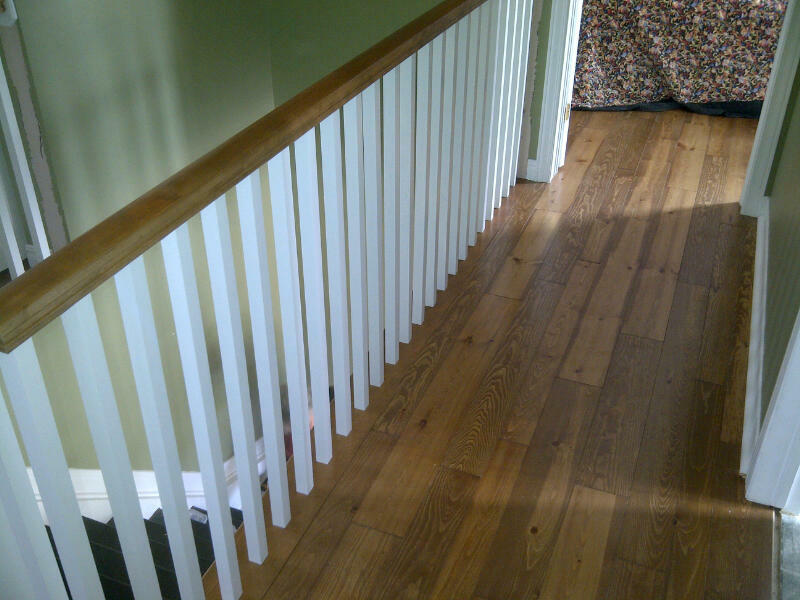 Day 12: Stair and railing expert Rob Rowsell (613-863-2387) came this week to install the hand railings created custom to match the floors. 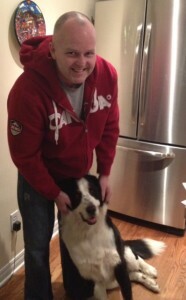 Rob and I have worked together on a number of projects and I can’t recommend his work and integrity highly enough. Choosing Paul and his team to install our flooring was the best decision we made. We were unsure exactly what we wanted to do, other than a combination of tile and wood. During his initial consultation, Paul gave us excellent ideas to consider related to traffic flow, room set up and materials. Once the work started, dealing with Paul and his team was always a pleasure. They were always on time, cleaned up thoroughly so we could live in what was a construction zone, and were extremely patient and flexible as we made minor adjustments to our “plan” along the way. The floor looks amazing, and we were so impressed that we asked Paul to then renovate our kitchen.